Payment is due at each lesson. However, if you prefer--payment can be made monthly on the first lesson of each month. We are very flexible and try to accommodate most scheduling issues. However we kindly ask that cancellations be done 24 hrs in advance, via text or phone call. There is no charge for this kind of cancellation and we will try to reschedule the lesson depending on our availability. Students are allowed ( 2 ) “Day-of-lesson-cancellations” for the academic year (Sept-June) at no cost. However, there will be a charge for any additional recurrences. “No Call-No Show”--If you miss a scheduled lesson without notifying us in advance, the lesson will be forfeited with no make-up or lesson credit. Do you teach on the weekends or weekdays? Our schedule is quite flexible and we are able to accommodate most requests. Lesson times are assigned on a first come first serve basis. We try to keep a “day of” in our weekly calendar (usually on sundays), however we will accommodate our schedule the best we can to suit your busy schedule as well. Do you help students with their orchestra music? Absolutely! As a full time coach of the Charlotte Symphony Youth Orchestras and as orchestral players our selves, we always make sure that our students are fully prepared for auditions or any upcoming performances that they may need help with. All of our students show significant improvement in their orchestra placement at their school or youth orchestra after they begin to study with us. Parents are welcome to attend lessons however this is not a requirement. We recommend that no more than one person be present in a lesson so the student is able to concentrate without distractions. Do you have student recitals or other performance opportunities? Yes. Since we are the product of two separate violin studios combined, our students have the unique opportunity to learn and perform during our masterclasses in which they play in front of their peers in several occasions through out the year. Masterclasses are a very fun and effective way in which our students learn important performance skills at the same time that they take an important part in each other’s progress. This is particularly helpful for students preparing for orchestral or college auditions, or for those who have a “work in progress” or are finished learning a particular piece. Attendance is not mandatory. We also have a formal recital at the end of the year open to family members and friends. It is usually scheduled for May or June, and it is held at a place of worship or at someone’s home. Let us know if you would like to host our next recital! What kind of methods do you use? Suzuki or traditional? Our instruction is based on the methods and philosophies of pedagogues such as Zweig and Suzuki, while also using our individual training and professional experience to add traditional methods to our teaching. We make use of the Suzuki books and CD’s and complement our teaching with traditional exercises, note reading, scales, and “show of” pieces to supplement each individual’s way of learning. Sakira is a Suzuki certified teacher and she is a member of the Suzuki Association of the Americas. Do you play at weddings or special events? Yes absolutely. Please click here or give us a call at 704-277-2438 for more information on our services. Do you know the audition requirements for the CSO’s Youth Orchestra programs? For more information visit csyo.net or call or email Carlos. Only in very rare occasions due to illness or extreme scheduling conflicts during important orchestral or college audition periods. Fees for this service are higher and depend on the roundtrip travel time from our home to yours. *Yes. We have two rescue cats. They are indoor pets and they enjoy coming to say hi to our students. They are extremely lazy (!) and for the most part they just like to curl up in a corner somewhere in our house and sleep through the lessons. 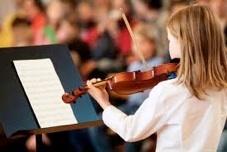 The length of the lesson varies per student and it depends on the age, experience level, goals, and the kind of repertoire the student is currently working on. We will discuss with you which lesson length we recommend when we meet with you for the first time. We teach at our home studio in Charlotte, NC. We are located in the Sardis Woods neighborhood near the intersection of Monroe Road and Sardis Road North.